At least 200 people are now confirmed to have been killed in Colombia's landslide disaster. The Red Cross has lowered an earlier estimate, as victims' identities are established. 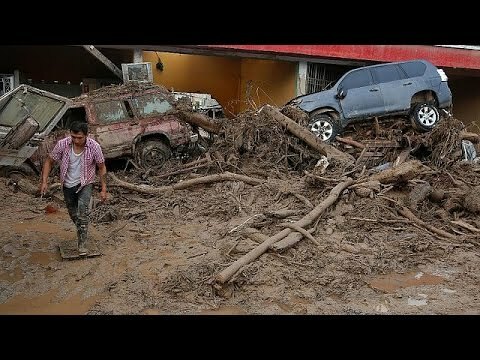 But hundreds more are injured and missing in Mocoa where torrential rain caused rivers to overflow on Saturday, triggering what has been called an avalanche of muddy water. "I was able to get the two children out of the house but we lost everything else," said one young woman. "It is all rocks and sand."